I voted for Bill Weld in the 1990s, when he ran as a Republican for governor of Massachusetts. I voted for him in 2016, when he was the Libertarian nominee for vice president on a ticket with another former governor, Gary Johnson of New Mexico. If Weld runs for president in 2020, should I vote for him again? Should anyone? 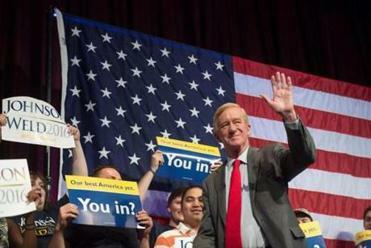 The former Bay State governor has been making noises for a while about getting into the 2020 sweepstakes, though whether as a Republican or as a Libertarian hasn’t been clear. On Feb. 15, he is scheduled to speak in New Hampshire at a “Politics & Eggs” breakfast co-hosted by Saint Anselm College and the New England Council — a traditional appearance for presidential wannabes. After years of following Weld’s political career, there is only one thing about him I’m sure of: He regards politics as a form of intellectual entertainment, and nothing he says on the subject should be mistaken for conviction. I had no illusions when I backed Johnson and Weld in 2016. I knew they were unlikely to win any votes in the Electoral College. But they were vastly more suitable for the White House than Donald Trump or Hillary Clinton, the two obnoxious and cringeworthy major-party candidates. I voted Libertarian without a qualm. By the end of that campaign, though, Libertarian true believers had developed plenty of qualms about Weld. Just days before the election, he had gone on Rachel Maddow’s MSNBC show to sing the praises not of his own running mate, but of the Democrat in the race. 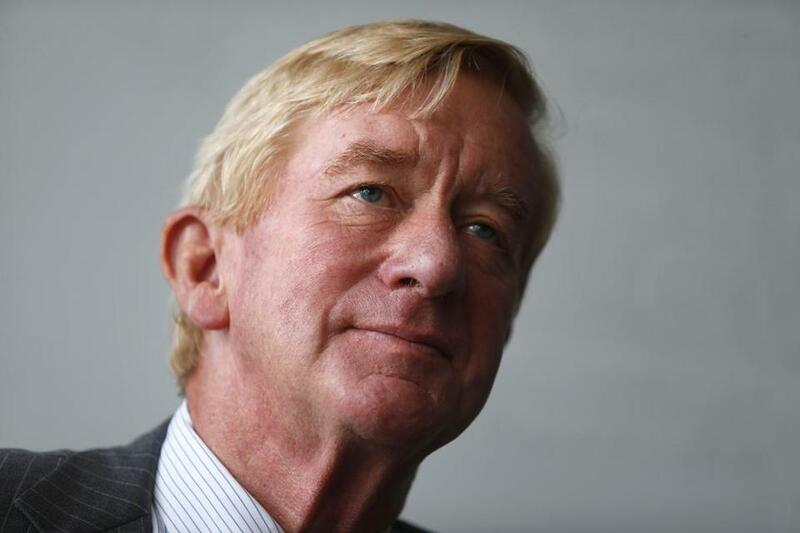 Bill Weld: an insurgent Republican or a card-carrying Libertarian? In the latest twist in a long and winding political career, the former governor is seriously considering challenging the president. The big question: what party he will run with. Then again, when has Weld ever been politically or ideologically reliable? As a Republican candidate for governor in 1990, he scathingly denounced the Massachusetts Legislature as “rotten to the core,” singling out the vindictive Democratic Senate president, William Bulger, as especially corrupt. Once elected, Weld swiveled 180 degrees. He took to praising Bulger as “a good man” and by the next election was cheerfully urging voters to reelect him. When Bulger left the Legislature, Weld even engineered his appointment as president of the University of Massachusetts. Weld marched into office hoisting the banner of a budget-cutting, bureaucracy-busting, private-sector-celebrating downsizer. Before long, it became clear that he was nothing of the sort. On Weld’s watch, spending soared, taxes went uncut, and new state agencies were born. Nationally, Weld cultivated a reputation as a liberal on abortion, gay rights, and the environment. Yet when he ran for reelection in 1994, he tacked back to the right, loudly trumpeting his support for tax cuts, the death penalty, and stiff welfare reform. Weld walked away from his governorship in 1997, bored with the job and angling to become Bill Clinton’s ambassador to Mexico. In 2006, he decided he wanted to be a governor again — not in Massachusetts, but in New York, where he sought both the Republican and Libertarian endorsements. When Republicans decided they weren’t interested in Weld, Weld decided he was no longer interested in the Libertarians. Two years later, he endorsed Barack Obama for president. There is no point seeking the philosophical thread that connects these meanderings. Weld has no fixed political or electoral outlook; he isn’t consistently conservative or liberal, and he’s certainly no diehard Republican. He has claimed since 2016 to be “Libertarian for life,” raising money, endorsing candidates, and assuring Libertarian Party leaders: “I’m going to stay L.P.” Yet if recent news reports are accurate, Weld is telling confidants that he might challenge Trump in the Republican primaries. Maybe he will. Maybe he won’t. A Weld run would enliven the 2020 campaign with erudition and quirky wit. That alone might be reason to hope he jumps in. Remember, however, that when it comes to politics, Weld will say and do just about anything to keep from being bored. He’s not likely to take a Weld candidacy too seriously. We shouldn’t, either.